// Ideal for nightstands, dressers and desks! 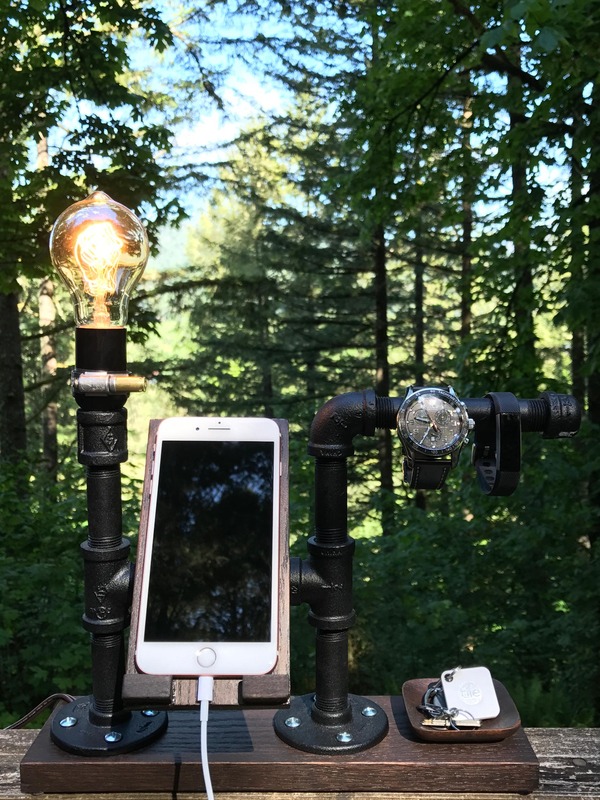 Convientantly designed to dock a charging cellphone and display watches or glasses. Wooden catch-all bowl is perfect for storing loose pocket change and keys. Industrial lamp and vintage lightbulb add the perfect touch! // Great gift for Valentine’s Day!